Students are encouraged to apply for all scholarships and awards for which they are eligible. All graduate students are expected to apply for external scholarship support (e.g. OGS, CIHR, NSERC etc.) when eligible. A student who receives $15,000 or more as a major, competitive, external scholarship will receive a $4,000 merit bonus, which is added to his/her stipend for the duration of the award. Students who receive an awards of greater value than the total stipend plus $4,000 merit bonus (ie. Doctoral or Vanier Canada Graduate Scholarships) will be ineligible for a further merit bonus. 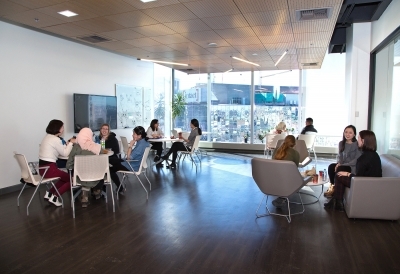 The School of Graduate Studies and the Faculty of Medicine’s Graduate and Life Sciences Education Office (GLSE) maintain a list of available awards. There is a limited number of Teaching Assistant (TA) positions, which allow students to gain teaching experience while supplementing their stipend income. Money earned from TA positions is income that can be added to their stipend. Students may work a maximum of 10 hours per week out of a 40 hour school week. This limit is to ensure that graduate students devote sufficient time to their thesis work. Approximately 35 % of graduate students hold some type of TA position. These positions range from marking and invigilating exams, to running tutorial sessions and laboratory courses. The department will notify students via email and bulletin board postings as TA positions become available. Outstanding applicants will be considered for University of Toronto Fellowships and nominated for University entrance scholarships. Applicants enrolled in undergraduate programs at Canadian universities who wish to be considered for these awards must submit an application with all supporting material through the undergraduate university at which they are enrolled prior to January 10. We encourage all non-Canadian applicants to meet this deadline. Students who receive funding from needs-based / merit awards, such as OSOTF’s (Ontario Student Opportunity Trust Funds) are required to consider such funds as part of their total stipend. All eligible students are considered for this award which is valued at $12,000. U. of T. Fellowships do not qualify as competitive awards and the merit bonus does not apply. No application is needed. 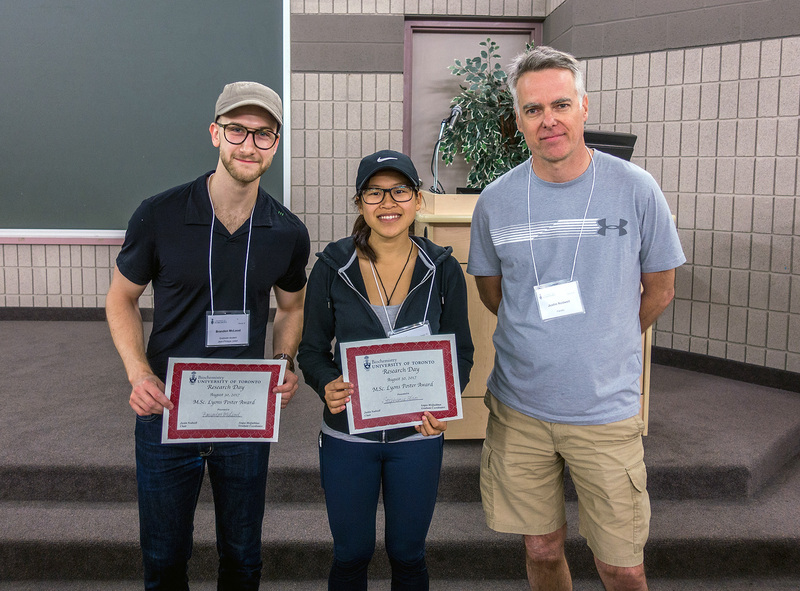 We are pleased to announce a new Ph.D. graduate student award valued at $500 to recognize an outstanding Ph.D. thesis and defense, to be given out at our Annual Research Day. The award will be based on having a well written and scholarly thesis document that provides important contributions to new knowledge (not strictly publications) and outstanding performance at the oral defense. Students who completed their PhD defense in the same academic year as Research Day and have fulfilled ALL SGS requirements prior to the deadline for June convocation. A nomination letter focused on the thesis content and defense, co-signed by the supervisor and supervisory committee members. Submit nominations to Carrie Harber in the Graduate Office (MSB Rm 5207). This award is for the “best all-round Biochemistry graduate student using as criteria performance at seminars, readiness and willingness to assist fellow graduate students and staff, abilities as teaching assistant, etc.” The award is provided from an endowed fund set up by the estate of David Scott in his honour and is currently valued at $500. David Scott was one of Canada’s most distinguished biochemists. He played a key role in the development of methods for large scale preparation and purification of insulin. He was elected to the Royal Society of Canada in 1939 and the Royal Society of London in 1949. Nomination Procedure: Any faculty member or student may nominate a student currently enrolled in the M.Sc. or Ph.D. program in the Department of Biochemistry. The nomination should be accompanied by at least one letter of reference and a copy of the nominee’s C.V. Please bring nominations to Carrie Harber in the Graduate Office (MSB Rm 5205). Deadline for receipt of nominations: early May; e-mail notification will be sent out. The winner will be announced at our annual Research Day in mid-May. This prize is given by Beckman Coulter for the best first-author publication by a Biochemistry graduate student. It consists of a cash award plus your paper stunningly displayed outside the Biochemistry Seminar Room. The Beckman Award winner will have the opportunity to give an oral presentation of her/his work at the Biochemistry Research Day. Two awards will be given annually in recognition of excellent performance as a Teaching Assistant in any of the courses offered by the Department of Biochemistry.